Our week one winner, Temple Gomez, lost 3% of her weight. (Weigh to go Temple!) Our winning team is Team MoGo -- Moms on the Go. They lost 1.46% of their starting weight, 12.75 pounds. 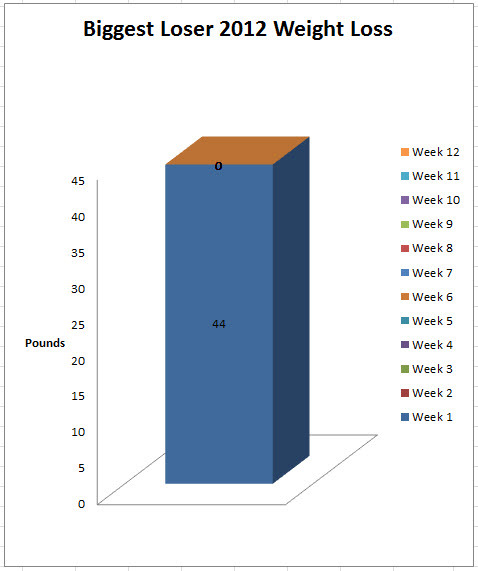 Our 36 participants lost a total of 44 pounds in week one. Here's a little inspiration going into Week 2. Maybe it will help you stay on track Super Bowl Sunday.